The US Senate on Thursday passed the Magnitsky Act, which targets Russian officials deemed by Washington to have violated human rights, along with a landmark trade bill with Russia. The Senate voted 92 to 4 to approve the legislation, which would simultaneously repeal the Cold War-era Jackson-Vanik restrictions on trade with Russia, establish normalized bilateral trade relations with Moscow, and introduce visa bans and asset freezes on Russian officials considered by the White House to be guilty of human rights violations. The decision to link the rights legislation to the trade bill has angered Russia, which has promised retaliatory measures aimed at the United States. There was little suspense to the fate of the bill in the Senate. It was widely expected to pass, and it will now go to US President Barack Obama to be signed into law. 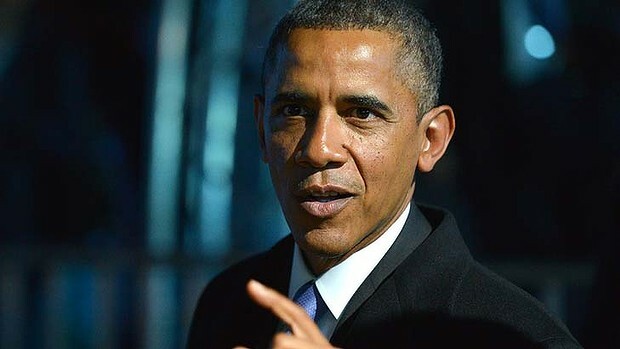 In a statement following Thursday’s vote, Obama said he commends the US Congress for “working on a bipartisan basis” to end Jackson-Vanik and normalize trade relations with Russia and Moldova, another former Eastern Bloc country impacted by the bill. “I look forward to receiving and signing this legislation,” Obama said. In the lead-up to Thursday’s vote there was a question about whether provisions targeting Russian officials would be extended to every country in the world. The US House of Representatives’ version of the bill focused exclusively on Russia, while the Senate version called for purportedly corrupt officials in other countries to be punished as well. The Senate ultimately agreed to the language in the House bill and focus just on Russia. The bill specifically targets Russian officials considered by the White House to be involved in the death of Russian whistleblower lawyer Sergei Magnitsky in 2009, but it extends to other purported violators of human rights in Russia as well. The earlier Senate bill also tasked the US State Department and the US Treasury Department with identifying the Russian officials targeted for sanctions. Like the House bill passed last month, however, the Senate bill approved Thursday places this responsibility in the hands of the US President. The establishment of permanent normal trade relations (PNTR) with Russia comes on the heels of Moscow’s accession to the World Trade Organization (WTO) in August. In line with its WTO obligations, Washington must enact PNTR with Russia in order to afford US producers the maximum economic benefit of operating on the Russian market. A broad consensus has formed on the PNTR issue among US officials, businesses and industry lobbies, who say the US economy stands to benefit greatly from opening up the Russian market to American entrepreneurs. The White House, however, had sought to keep the issues of PNTR and the repeal of Jackson-Vanick separate from the Magnitsky Act—a position widely seen as an attempt to prevent the Magnitsky legislation from negatively impacting US-Russian cooperation on issues such as counterterrorism and arms reduction. “Either Washington has forgotten what year it is or it thinks that the Cold War is not over yet,” the ministry said in a statement, adding that the senators are ignoring the obvious fact that any country can deny visas to anyone without enacting special legislation. “We must again remind the hyperactive opponents of the normal development of Russian-US relations that their efforts look pathetic. However, the Russian side will have to respond,” the ministry added.